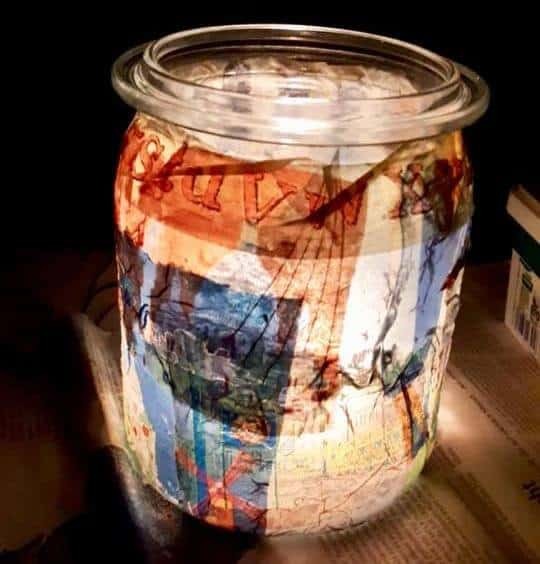 Many of you will already know that the excellent local charity ‘Kafou-hilft’, will be winding up their years of valuable work by the end of this year and that a new organisation, by the name of KorAlli (Koroni Solidarity) is continuing their work. The second-hand clothes stores in Koroni and in Chrani, established by Kafou Hilft, are continuing to operate. In addition, KorAlli will offer activities (for people of all ages) in their Koroni meeting place. The address is the formerly unused taverna, Symposium, in the street parallel to the waterfront where the post office is located, opposite the shop ‘Felina’. You are welcome to donate clean, second-hand clothing and household items, as well as purchase goods from the shop. Their first Christmas Bazaar will take place this weekend in the KorAlli premises – details below. 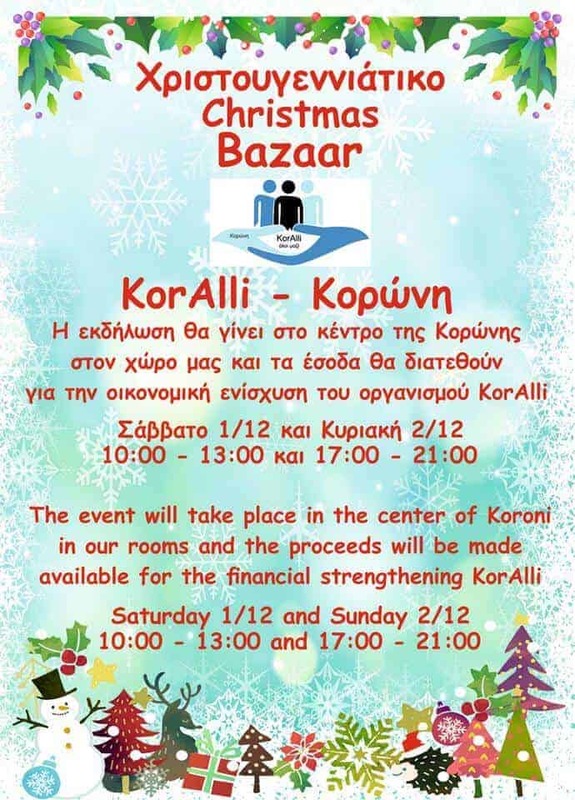 Do drop by to support them if you are in the Koroni area and if you can’t make the bazaar, you will find their contact details on leaflets at the shop and on their Facebook page.